Have you been thinking about taking to the road in an Airstream for a while now? However, your budget or vehicle not being able to tow enough has stopped you in the past. If you’ve found yourself concerned with driving with a large trailer but still want the comfort of an Airstream, then Ewald Airstream has some excellent news for you. 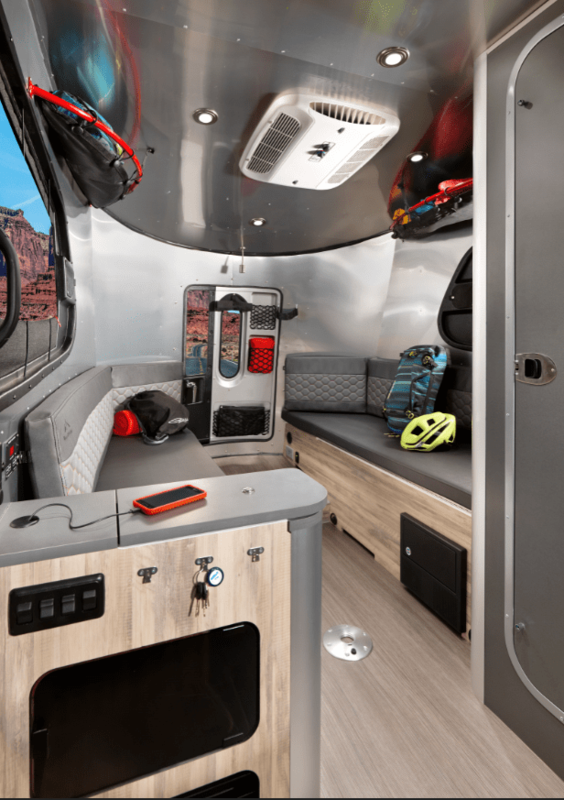 The new 2019 Airstream Basecamp for sale is here and offer comfort and convenience in an affordable package. Weighing only 3,500 with its max capacity, you won’t need a large gas guzzling vehicle to haul these lightweight travel trailers. Offering a convenient and economical package, the Basecamp still provides all the comforts you’ll need when adventuring out into the world. Below, we’ll take a look at some of the things that make these lightweight Airstream travel trailers for sale near you a perfect addition to your adventurous lifestyle. 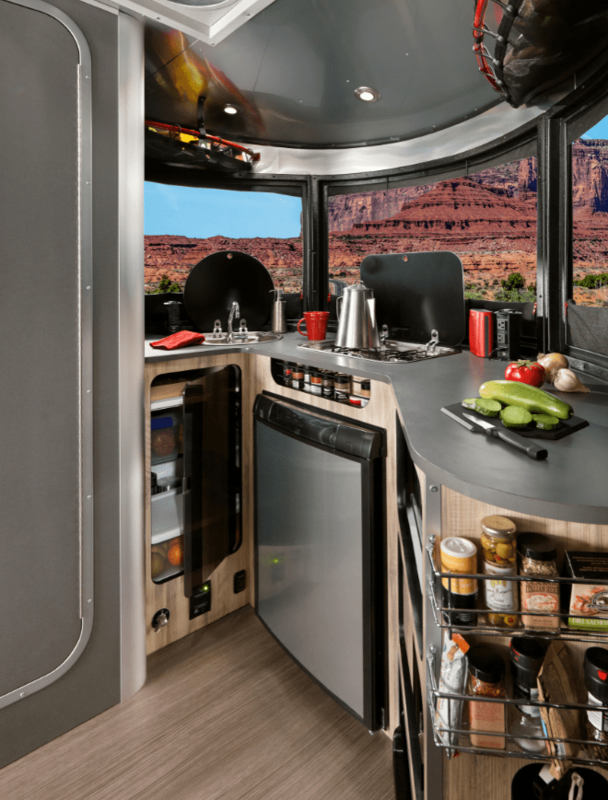 Although the new 2019 Airstream basecamp offers a small and lightweight travel trailer, there are many excellent features included. For example, the solar power pre-wire access point gives an environmentally conscious way to power your Basecamp. With a solar panel, you’ll be able to power the refrigerator and two burner stove top with the greatest of ease. 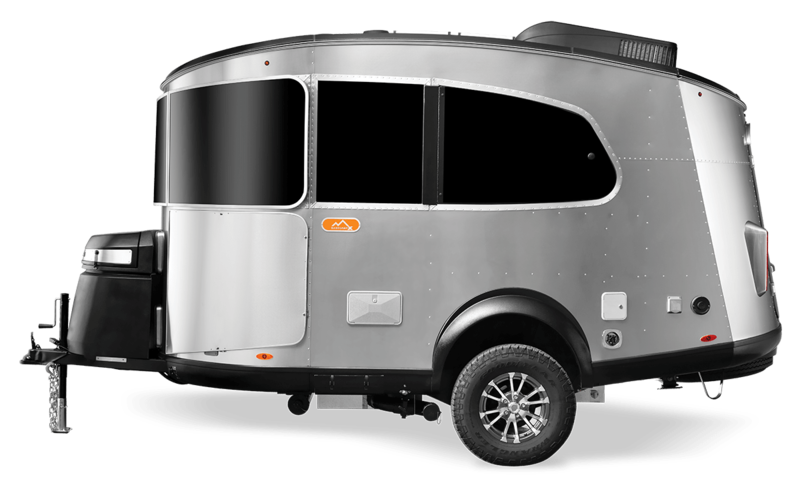 You may have noticed that the Basecamp has the same aluminum exterior but offers a new shape compared to other trailers. Through years of research, we’ve discovered this shape provides a far more aerodynamic package, allowing you to have better acceleration and save on gas. Those interested in these lightweight travel trailers also will be able to control the temperature to ensure optimal comfort. Do not let the size of this Airstream for sale fool you, with hidden storage throughout your Basecamp will be clean and clutter free. Concerned with some of the harsh winters you’ll encounter on your travels? Not to worry, because these lightweight travel trailers for sale near you have 12v tank heaters. These will prevent your tanks for freezing over so that you can keep your Basecamp nice and warm even in inclement weather. The Truma Combi Eco Plus heating system can handle both water and cabin heating with exceptional efficiency. Aside from keeping you nice and warm, the optional air conditioning with a two-speed fan will keep you cool on hot summer days. 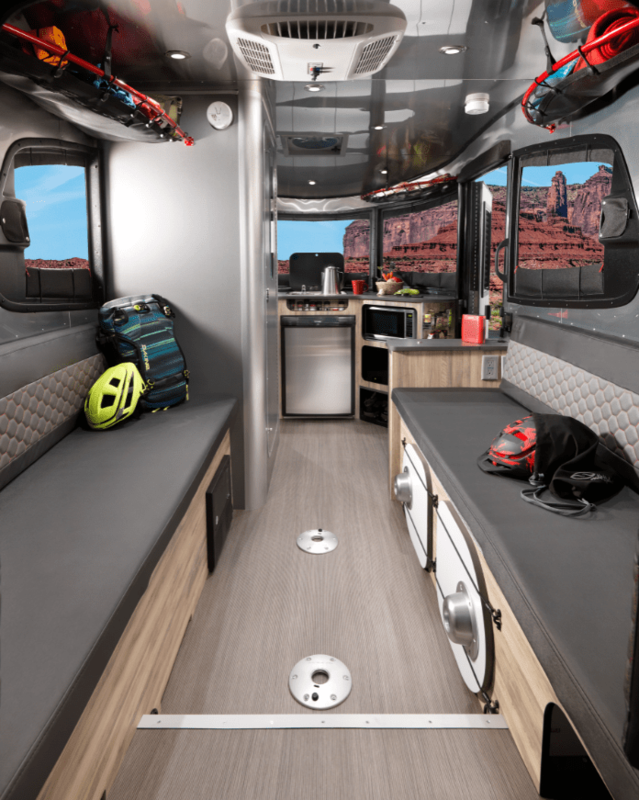 Another excellent aspect of the new 2019 Airstream basecamp is the level of personalization it offers. You’ll have an array of different interior designs with robust yet refined Spradling marine fabric. In addition to the appearance, there is also an available X-Package that can make this lightweight trailer even more rugged. This package includes Goodyear Wrangler tires, a 3-inch lift, and rock guards to keep your trailer looking nice. It may seem unlikely that such a small trailer offers a great deal of space, but looks can be deceiving. Despite the Airstream Basecamp for sale offering only one floor plan, you’ll find all your needs met inside. Within the basecamp, you’ll even find bathroom equipped with everything you need including a shower, toilet, and sink. If you feel like having a bit more room while you wash up, the shower head can also be used on the Exterior of the trailer trailers for sale near you. The removable table also presents a way for you to have more sleeping space, allowing you to comfortably sleep up to 2 people. 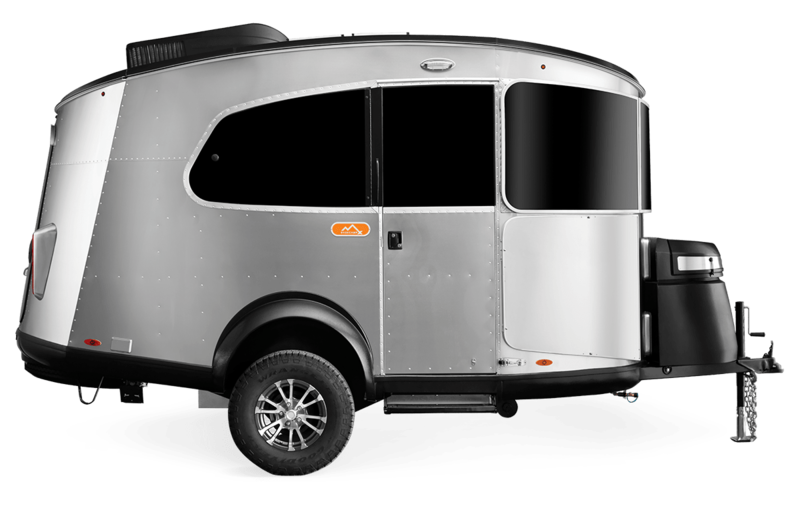 For utility purposes, these Airstreams also offer both a rear and side entrance, making it a piece of cake to load and unload gear. Beneath the benches that can be converted into beds, you’ll find plenty of storage space for whatever you need to bring on the road with you. A convenient kitchen also present two stove top burners, a refrigerator, and even a dishwasher! No matter how far you go off the beaten path, the Airstream Basecamp for sale can ensure you have all the comforts you need. 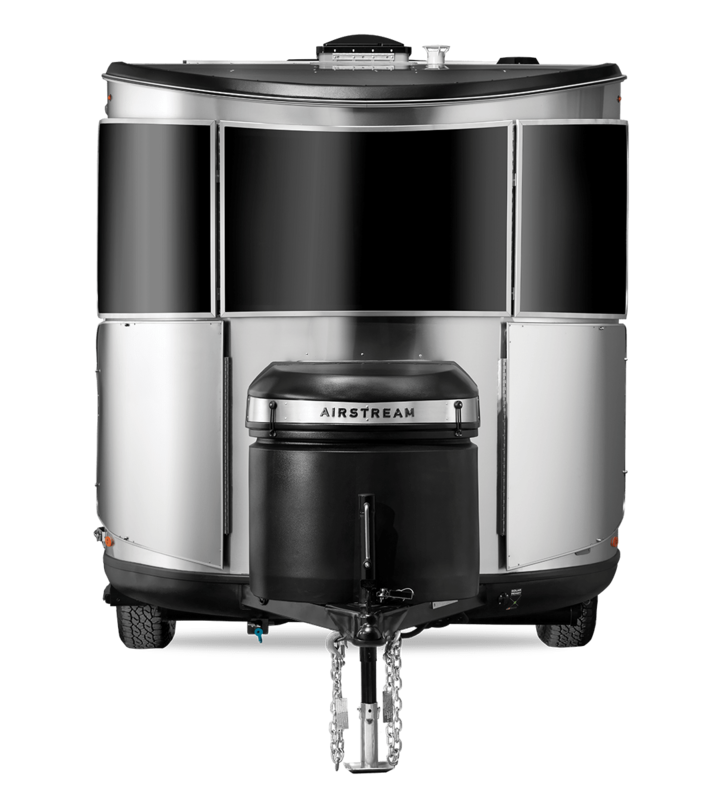 But by far, one of the most impressive aspects of the Airstream Basecamp is the price. Despite providing everything you need, the Basecamp Airstream starts at the modest price of only $37,400. With the money you’ll save on both your purchase and the improved efficiency of the new 2019 Airstream Basecamp for sale, it can be a smart financial move. But don’t just take our word for it, you should be sure to come to Ewald Airstream and check out these excellent lightweight travel trailers for sale yourself. If you’re interested in the specs of the Basecamp before stopping by, we’ll highlight a few of them below. When you are ready to take a look at our inventory, stop by our lot at 6269 S. 108th St. Franklin, WI 53132 and find the right Basecamp trailer for you!